Mandy Stadtmiller on ABC Nightline. Writer, comedian and xoJane editor-at-large Mandy Stadtmiller recently asked xoJane readers to help her write her dating profile – and of course they rose to the occasion. 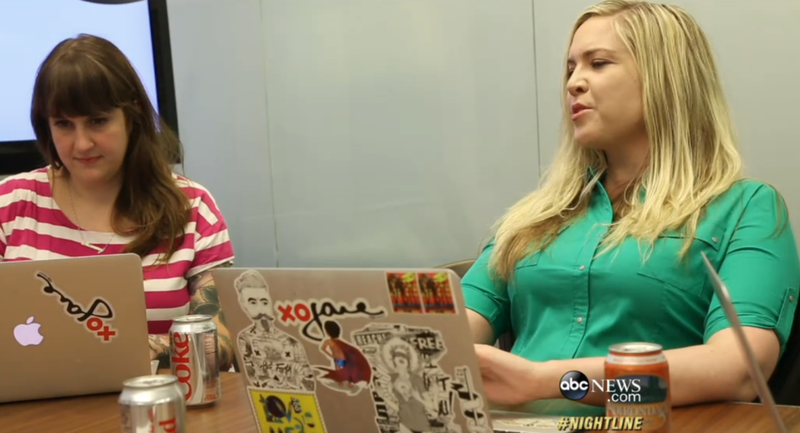 The story got the attention of ABC’s Nightline and the producers invited Mandy on the show for a segment called: Online Dating Secrets to Be More Desirable. Some of OKCupid&apos;s most popular users reveal what they do to their profiles to score hundreds of messages – and Mandy goes behind-the-scenes to learn how to make her profile more popular. Check it out here – Mandy comes in at the 5:15 mark.